Scotland Standup got talking with GBh one of the many Deadlife members about his views on Scottish Hiphop and various other aspects of music and life. I've released 2 albums to date and i am working on another solo album at the moment as well as an album with my crew Deadlife Entertainment, an album under the guise of Audio-Philes with my good friend Adam-Son which was called Resonant Stories, and also i have released Inner Thoughts of an Outsider , apart from that i have collabed and made music with lots of people in lots of different genres. My new project is untitled as yet and is coming along very nicely, it has some great concepts throughout, inspiration wise i cant pinpoint any one particular thing because i find inspiration in everyday stuff and all manner of things that go on in and around my life , my family n kids , crew members , and talented people ....but inspiration can hit you when your least expecting it so i just use the things that provoke thoughts and spark that creativity in my mind. i think the music industrys a whole lot different from when i first got involved , the loudness wars and the rise of mp3 has shaped the industry into a whole new perspective and shape but its still in good shape i think, and as long as talented people keep working hard and doing their thing itll remain that way. I think if you want to go down that road n think you can be successful with it then thats fine and its your own choice at the end of the day , but along the way you have to keep your own persona and dont let music companies n labels shape you into something your not as it happens to too many good artists. I watched The Voice last season and Vince Kidd was an astounding male vocalist and produced an excellent piece of production of an old Elvis tune and his vocals were excellent , now when u look for him on youtube ( as hes not been seen since the voice programs ) hes been moulded into something he wasnt to start out with so its all too easy to let the hype of fame grasp you n warp your original vision of what u want from music. 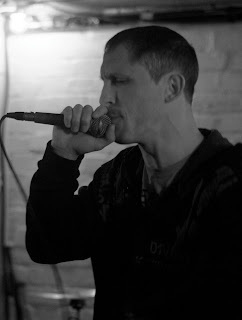 Scottish Hiphop is probably in its best condition for years , the likes of Hector Bizerk , Stanley Odd , Mistah Bohze, MOG and Loki are benchmarks that all scottish hiphop artists should be aiming for , as over the years these acts have put some of the best music among the masses and will continue to do so for a long time in my opinion. COURTYARD BATTLES 29TH JUNE , GET YERSELFS ALONG FOR A DAY AT THE BEACH N SOME VERBAL SHANANIGANS AT NIGHT !! !